Dr. Paul Finger has developed a memory tool to help ophthalmologists identify and catch eye cancers. This simple but effective mnemonic serves as a guide to aide in knowing when to send a patient to an eye cancer specialist. Dr. Tero Kivela presented Dr. Finger’s diagnosis methodology during a presentation at the 2016 World Ophthalmology Congress in Guadalajara, Mexico. Dr. Kivela serves as Director of the Ocular Oncology Service and Ophthalmic Pathology Laboratory at Helsinki University Central Hospital, and also teaches at the university. Dr. Finger was pleased to have Dr. Kivela present this work at the conference in his absence. The presentation was designed to help participants recognize characteristics that differentiate benign from potentially malignant intraocular tumors of the uvea using up-to-date methodology. Dr. Finger’s MOST mnemonic makes up an important part of the methodology. Small melanomas are difficult to diagnosis because little tumors have fewer easily identifiable characteristics. 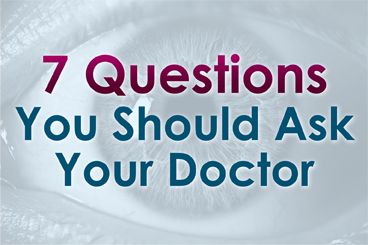 MOST provides an easy way for ophthalmologists to remember the key things to look for. It is generally accepted that the following three characteristics when seen together associated with a small pigmented choroidal tumor are diagnostic. Patients may also present with symptoms including: low visual acuity, shadow, metamorphopsia (distorted vision where straight lines in a grid appear wavy), photopsia (perceived flashes of light), and floaters. However, when they present with MOST, they are likely to have choroidal melanoma. Following are the best ways to identify the three MOST characteristics. O = A single wavelength of light is used to take a special intraocular photograph called fundus autofluorescence (FAF). This test offers the most effective means of identifying Orange pigmentation. S = Optical Coherence Tomography (OCT) uses laser light to create a 3D image of the retina. OCT is the best way to detect Subretinal fluid. T = Ultrasound imaging is the “gold standard” for measuring intraocular tumor Thickness. At the World Ophthalmology Congress, Dr. Kivela presented a study finding that 13 patients (8%) developed melanoma from a previously identified presumed nevus. Six of those patients had orange pigment, five had subretinal fluid, and three of the tumors were over 2mm in height. Dr. Finger created MOST to help general ophthalmologists and retinal specialists in their decisions about who to refer for consultation.While MOST does not encompass all of the characteristics of choroidal melanoma, it is useful to distinguish most small melanomas.